Bring the spirit of Vegas to your home game room by turning any table into a Blackjack Table with this casino style Blackjack Felt Layout. 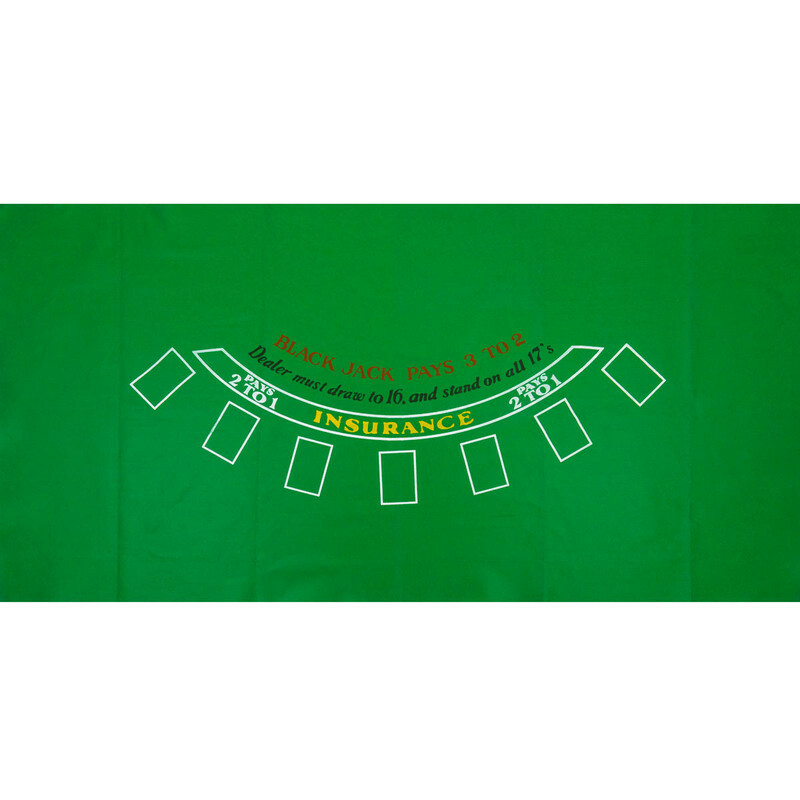 This layout comprises high quality felt material (compressed & matted fibers) with a brightly silk-screened layout printed for durability and has the familiar seven white box layout with standard print like "Black Jack Pays 3 to 2", "Dealer must draw to 16, and stand on all 17's" and of course "Insurance � Pays 2 to 1". This Black Jack Tablecloth has a smooth and consistent playing surface just like in the casinos. With this Blackjack layout cloth, recreate the winning feeling outside the casino - now all you need is a table, some playing cards and a banker...good luck!